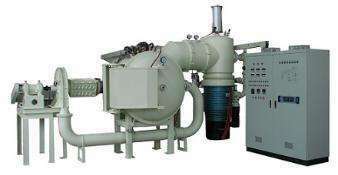 SIMUWU company produces continuous sintering furnace in powder metallurgy industry. Sintering is used for heat treatment of powder press to make it strong and complete. The melting point of sintering temperature is lower than that of powder metal material. Design and manufacture the time, temperature and atmosphere requirements of the manufacturing process of sintering furnace according to customer’s production requirements. A low sound of alloy or ceramic. It helps guide, control and reduce the flow of the atmosphere. If you use the recommended procedure, the ceramic muff furnace can be guaranteed for 5 years. SIMUWU offers two heating stoves. The optional advanced cooling system combines atmospheric cooling with the traditional water jacket cooling technology to a convenient unit that can be added to a unit when a process requires sintering and hardening. Response to custom design/combustion chamber and the stable atmospheric control, plus our furnace bottom heating system, guarantee the efficient completion of the process, optional a moisturizing system, changing the dew point of the sintering furnace, in order to make sure the appropriate sintering conditions.